Okay, so it’s been just over 3 weeks since I joined Cohesity. Last week I was finally able to get a bit hands on with the Cohesity Virtual Edition (VE) in my home lab to record some videos for VMworld. Yeah I got tossed right into that even with only a couple weeks on the payroll, but hey I like a challenge! I wanted to give a little bit of my personal experience just getting things setup for the first time. 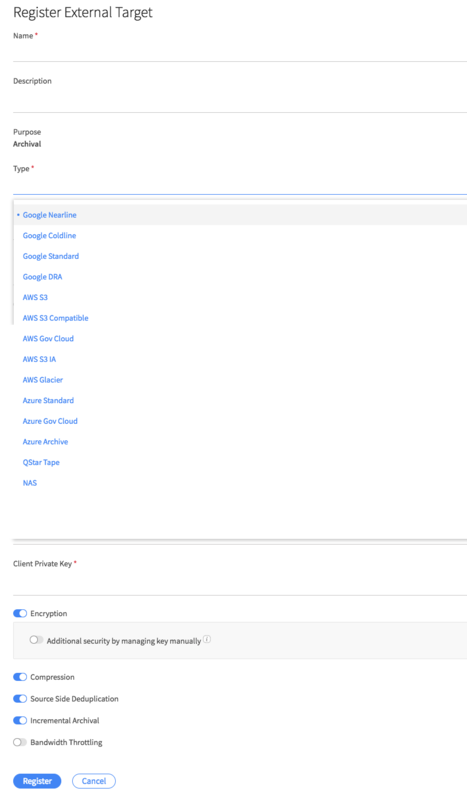 Granted working with a full cluster setup has some differences, but I wanted to at least cover the deployment of VE, and go over some of the things I found very easy to do thanks to the improved user interface. 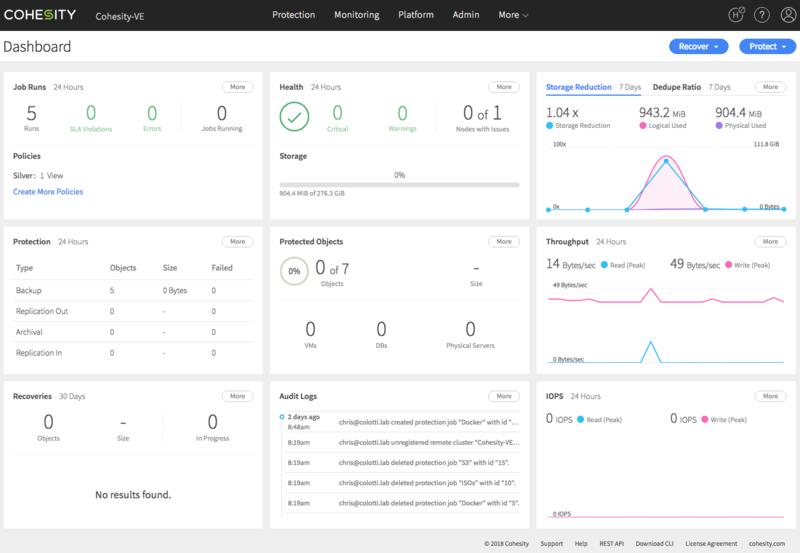 The most striking part of any Cohesity deployment regardless of physical cluster, Virtual Edition, or Cloud Edition and what impressed me the most day one, was the fact that all version have a unified interface. In fact during Cloud Field Day 4 the user interface was a point of note by the delegates. This simple aspect, in my opinion makes things much easier for the administrators. Not only is every edition the exact same but you don’t have to go hunting for something from one version to another. You can even cross manage deployments my linking remote clusters together for management or replication. Below is an example with not much data from my private lab running the Cohesity Virtual Edition. The first thing to understand is that the Cohesity Virtual Edition (VE) is intended for remote or branch offices and is available in both Hyper-V and vSphere formats. 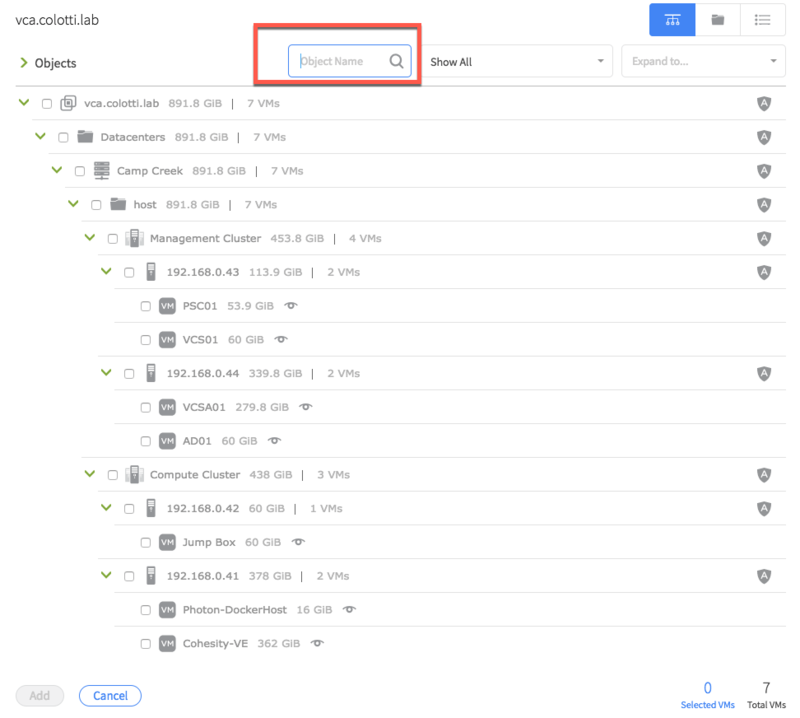 The idea is that you do some local backups to the appliance, but replicate those back to the main Cohesity Cluster back at Headquarters, OR utilize the CloudArchive feature to simply push them to a cloud based object store for later retrieval by another cluster. While it still gives you some local retention on the appliance itself you can leverage the features of CloudArchive, CloudSpin, CloudRetrieve, and CloudTier the same as you would for any other Cohesity cluster. The appliance is available in two sizes from the same OVA. Each version will require adding TWO additional Virtual Disks for the Metadata Tier and the Data Tier. These sizes are well documented on the Cohesity support site when you access the appliance so I won’t go into detail here, just know you have to add these two disks before you power it up. In the Virtual Edition documentation you will read that if you configure the secondary interface it will be assigned the default gateway and be used for replication to a remote site as it will have the default route. You can segment the traffic on the other interface using additional VLAN tags as needed. Remember this is meant for remote and branch offices and there should not be that much traffic. At a minimum I would probably configure the secondary for the replication portion to send it over a different interface. Seriously, this is the easiest thing to do for sure. 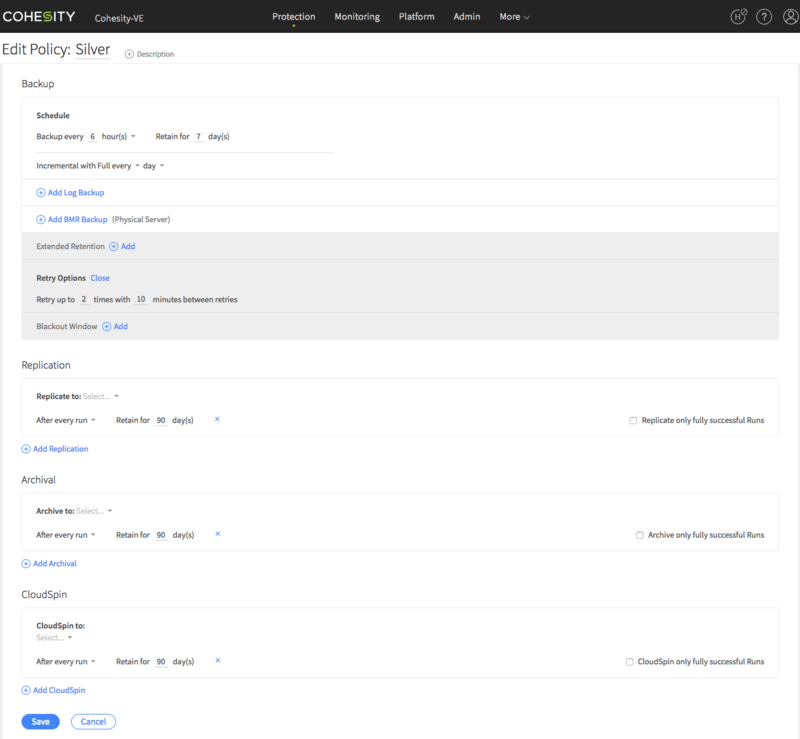 You can setup your policies the same as the physical clusters to replicate to remote destinations, and then simply apply those policies to any machines, views, or other objects. The most impressive thing is how all data on the platform is treated similarly. The exception is Virtual Machines that are even completely indexed for later file and folder search. Once you setup your policies searching and browsing for items to apply the policy too is also very simple. You can search by name, or expand and simply select what you want to add to the backup job, and then assign the policy you want. The thing to remember is it’s Policy first, then job, but you can even create new policies in the context of creating the job without backing out of the screen and starting over. Everyone knows I have been a cloud guy a long time, but I have to say I was completely impressed with the number of targets available for CloudArchive and CloudTier functions within a policy. Just look at the list below out of the gate which is more than other products I have worked with that claimed “Cloud Archive” capability but to only one provider type. Let’s face it I work here now and next week I will be at VMworld in a Cohesity shirt. However, I am very impressed thus far with some of the things I have seen. I am not one of those people to go into something expecting everything to look right, or even work 100%. Sure my nature is to always find a way to improve something and that will come, but out of the gate this still is amazing and it works. Come see me in Vegas and let’s talk about Cohesity!